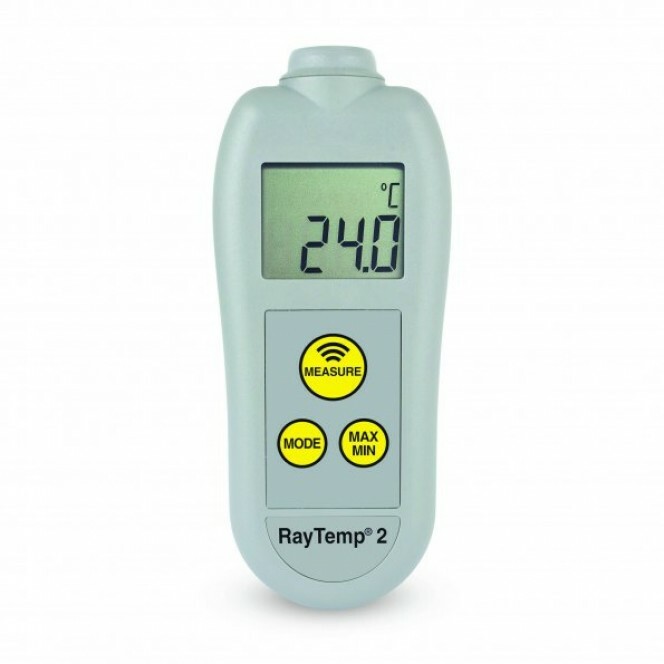 RayTemp 2 Infrared Thermometer - Designed and manufactured here in the UK, the new RayTemp 2 infrared non-contact thermometer. 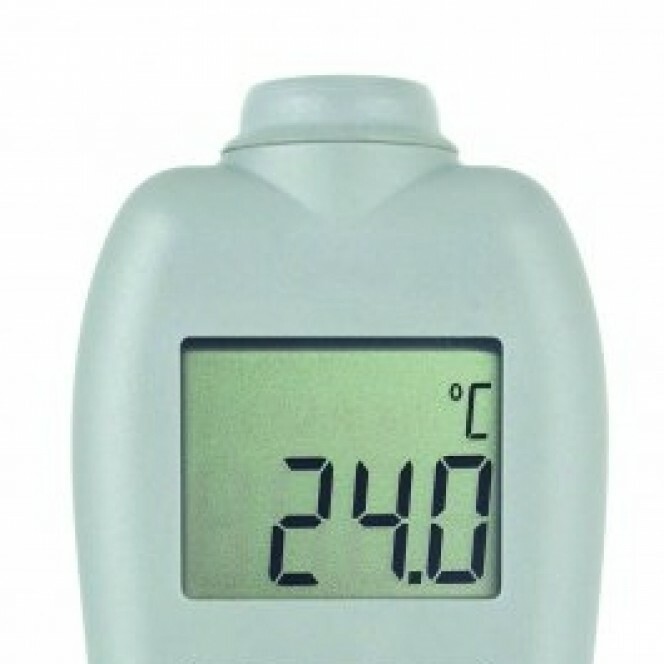 Simply aim the thermometer at the target and press the measure button to display the surface temperature over the range of -49.9 to 349.9 °C with a 0.1 °C or 1 °C resolution and assured accuracy of ±1 °C over the range 0 to 100 °C. 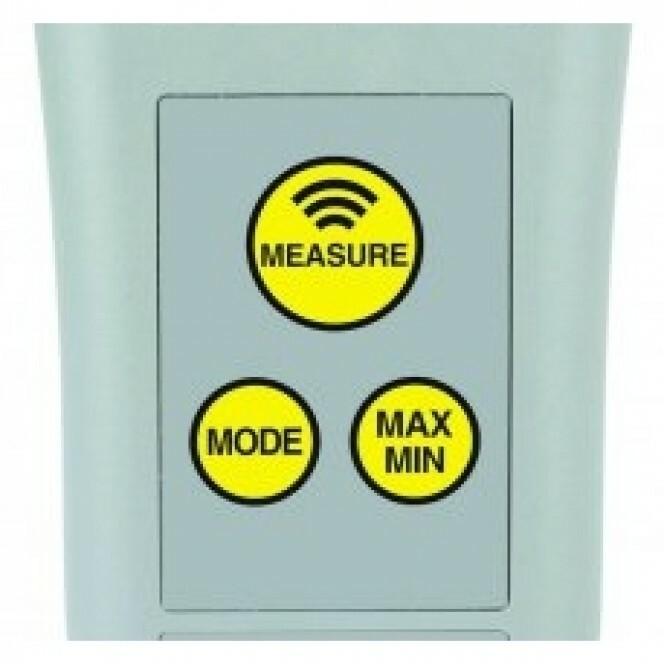 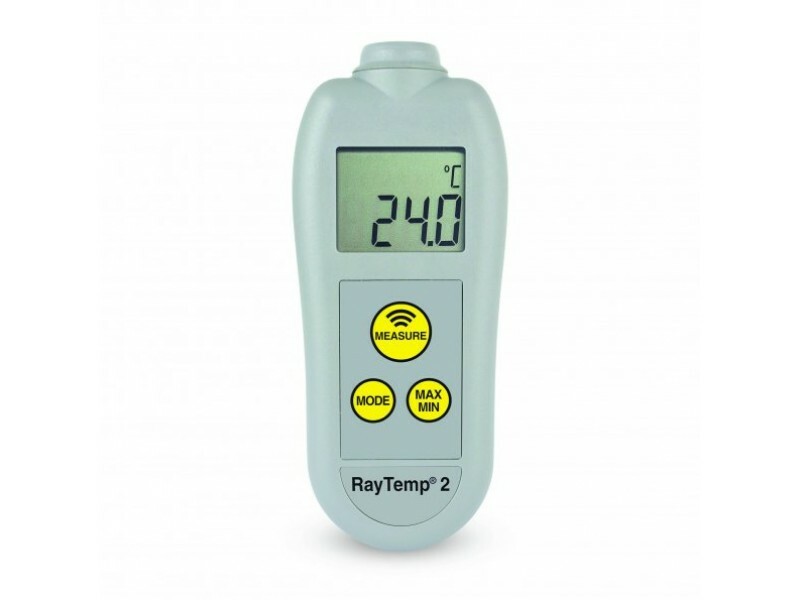 General Description The RayTemp® 2 incorporates a 5:1 optic ratio (target distance/diameter ratio) and a fixed emissivity of 0.95 making it suitable for a wide range of food and industrial applications.